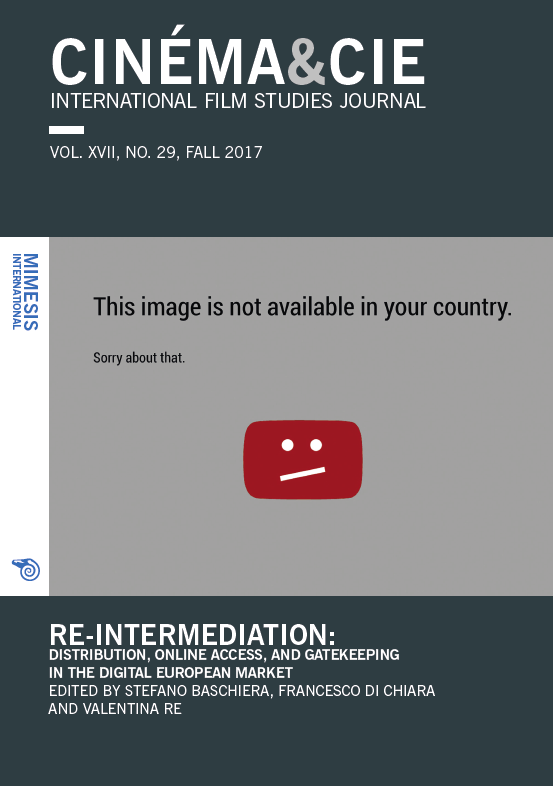 This special issue of Cinéma&Cie analyses the logic and processes of re-intermediation emerging in the contemporary European media industry landscape, providing an opportunity to bring questions of availability, text circulation and gatekeeping to the centre of scholarly debates and investigations. Through contributions showcasing a wide array of methodological and theoretical approaches, the volume illustrates and analyses the presence of new gatekeepers, their impact in shaping texts and their consumption in different European contexts. Its case studies include file sharing, Curzon Home Cinema, VOD services and the problematic implementation of the Digital Single Market policy.